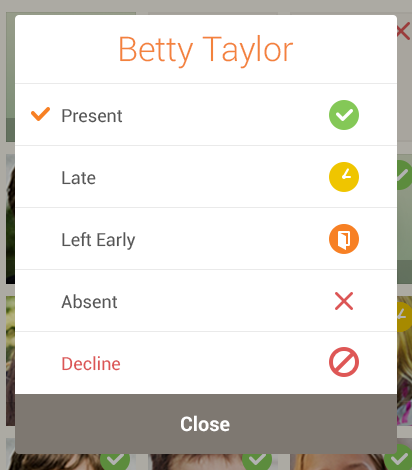 If assigned student attempts to join during the class, he(she) is automatically joined and only joining notice is displayed to the teacher. If unassigned student requests to join during the class, notice pop-up window is displayed to accept or reject the request. Because the requests are processed in sequence, unassigned students cannot request to join until the previous student is accepted or rejected. When selecting unassigned student under Toolbar > more menu > “Attendance”, the student is rejected if “Decline” is selected but it will not stop further join requests.